It is well known that structural and functional alterations of microvascular systems are responsible for the most devastating complications of diabetic patients. Alterations of electrolyte composition of CSF in hyperglycemic condition may reflect the microvascular deleterious of choroid plexus. In the present study it is examined the effects of maternal hyperglycemia on the microvascular structure of choroid plexus and the volume of lateral ventricle in newborn Wistar rats. At 7th day of pregnancy hyperglycemia was induced by a single injection (i.p.) of streptozotocin (55 mg kg-1). Control animals were given an equal volume of citrate buffer. After parturition 2 pups were randomly selected from each litter, their brain dissected, fixed in 10% formalin, sectioned in 7 μm thickness and stained by H.E. By applying stereological techniques and systematic random sampling scheme the volume of choroid plexus, length density of capillaries and the volume of the lateral ventricles were estimated. In comparison with controls, statistical analysis showed significant increases (p<0.01) in the length density of capillaries as well as volumes of choroid plexus and lateral ventricle. In conclusion it seems that, similar to the microvascular systems of retina and kidney, the choroid plexus probably is a vulnerable microvascular system in hyperglycemia. Tehranipour Maryam, Behnam-Rassouli Morteza and Rahimi Amin, 2008. 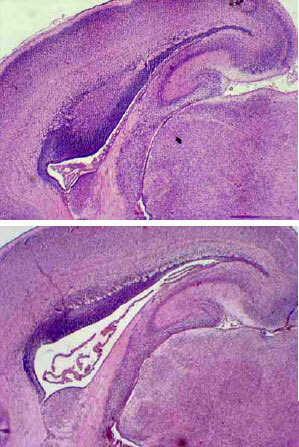 Maternal Hyperglycemia Proliferate Choroids Plexus and Enlarge the Lateral Ventricle in Brain of Newborn Rats. Journal of Biological Sciences, 8: 799-803. Diabetes mellitus is a metabolic disorder that produces various dysfunction in the body. Oxidative stress induced by chronic hyperglycemia may play a key role in both microvascular and macrovascular complications of diabetic patients (Aragno et al., 2005). Underlying diabetic complications such as nephropathy, neuropathy, retinopathy, cardiovascular disease and peripheral vascular disease progress gradually before an actual diagnosis is made (Spijkeman and Dekker, 2003). Cardiovascular disorders may result from an inadequate blood supply which cause complications such as slurred speech, aphasia, paralysis of a limb or blindness (Boulton, 2005) or structural changes in blood vessels such as infarction (hemorrhages) of retinal vessels, weakened blood vessel walls (microaneurysms) leakage of fluid (edema or exudate) and loss of circulation (Sharma et al., 1985). Diabetes exerts a heavy toll on the vascular system. The hallmark of diabetic macrovascular disease is accelerated by atherosclerosis involving the aorta and large and medium-sized arteries. Diabetes is also considered to be a risk factor for Alzheimer,s disease and other neurodegenerative diseases (Arvanitakis et al., 2004). Although, much has been learned about peripheral changes related to diabetes, changes induced in the CNS are not well characterized. Epidemiological studies and experiments in rodent embryos show that there is an increased risk of fetal malformations and spontaneous abortion in diabetic pregnancies (Ristow, 2004). Infants of hyperglycemic mothers remain at risk for fetal hyperinsulinemia, consequent increase fetal adiposity and often excess fetal size (macrosomia) which increases the likelihood of birth trauma and operative delivery and pancreatic dysfunction and neurologic complications. Extensive experimental and clinical evidence indicates that metabolic disturbances in the mother contribute to virtual all the adverse effects of DM on the offspring (Jarvis et al., 2005). In addition to a number of developmental and functional abnormalities in CNS, it has been reported that diabetes increases the CSF pressure (Egelton et al., 2003) which is responsible for the excessive retention or production of CSF from epithelial cells of choroid plexus (Segal, 2000). In the present study it is investigated the effect of streptozotocin (STZ) induced gestational hyperglycemia on the length density of capillaries of choroid plexus, CSF electrolytes composition and the volume of lateral ventricle in newborn rat. Experimental design: All experiment was conducted in Faculty of Science, Islamic Azad University of Mashhad, Iran (2008). All chemical used in this study were purchased from Sigma (UK). Animals were cared for and handled in accordance with the Iranian Society of Animal Care (member of International Animal Care Society) and also local Islamic Azad University of Mashhad animal ethics directions. Young female rats (approximately 250 g), purchased from Razi Institute (Mashhad, Iran), were maintained in a temperature controlled room (20°C) and a 12 h light:dark cycle. They were allowed access to food and water ad libitum. They were mated with normal males and the morning of appearance of vaginal plug was considered as day zero of pregnancy. At 7 days of gestation (dg), diabetes was induced by a single injection (i.p.) of streptozotocin (55 mg kg-1) dissolved in sterile phosphate buffered saline (Rosa et al., 1997). Control group received only buffer. Induction of diabetes was confirmed by blood glucose level (glycemia>400). After birth 2 pups of each mother were selected randomly, one for CSF collection and the other for stereological analysis of C.P. Blood and CSF assays: After delivery, blood samples were collected, via the retro orbital sinus, from mothers and the serum levels of glucose, uric acid, urea, Ca and P were measured by autoanalyser. CSF extraction: Pups CSF was collected from cisterna magna by a glass micropipette. The blood contaminated samples were discarded. Samples were centrifuged at 10,000 rpm for 10 min and then stored at -70°C until electrolyte measurements. The CSF [Na], [K] and [Ca] concentrations were determined by autoanalyzer (Nabiyouni et al., 2004). Dissection of the brains and sections sampling: Under the pentobarbital anesthesia the brain of the second pupsn was rapidly removed and fixed in 10% paraformaldehyde for histological evaluation. By applying a systematic random sampling scheme, the paraffin blocked brains were sectioned coronally. Then sections were stained with hematoxylin and eosin. Stereological methods: The volumes of lateral ventricles and choroid plexus were measured with Cavalieri technique (Gunderson et al., 1988) and the length density of capillaries was determined by counting the number of capillaries profiles as described by Gundersen et al. (1988). Statistical analysis: Student`s t test was used for comparison when only two groups were analyzed and a one-way ANOVA followed by a Scheffe`f test when more than two groups were analyzed. Statistical significance was chosen as p<0.05. All results are reported as mean±SEM. Blood biochemistry and CSF electrolyte measurements: The incidence of diabetes was assessed by monitoring the blood glucose levels in both PBS and STZ injected rats (Table 1). There was a significant increase (p<0.001) in blood glucose levels from 100±5 mg dL-1 in control to 470±18 mg dL-1 in STZ injected rats. The serum levels of cholesterol, urea, uric acid, [P3+] and [Ca2+] were also significantly (p<0.05) higher in diabetic dams than controls. The CSF levels of [Na+], [K+] and [Ca2+] in one day old pups belong to hyperglycemic dams were significantly higher (p<0.05) than pups born from controls (Table 2). The volumes of lateral ventricles and choroids plexus and length density of choroids plexus capillaries: In comparison with control pups, the volume of lateral ventricle was significantly increased (p<0.01) in newborns from hyperglycemic mothers (0.614±0.99 mm3 in control and 1.042±0.2 mm3 in newborns from hyperglycemic mothers) (Fig. 1). Also the comparison of choroid plexus volume measurements showed significant increase in pups from diabetic mothers (from 0.314±0.027 mm3 in controls to 0.556±0.036 in experimental pups; p<0.01) (Fig. 2, 4). The length density of choroid plexus capillaries in experimental group was increased significantly as well (from 1974±228 in controls to 5068±430 mm mm-3 in experimental group; p<0.01) (Fig. 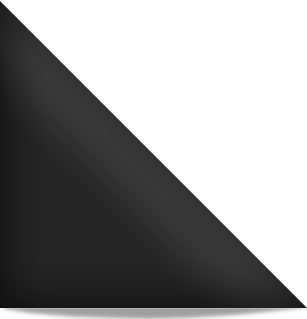 3, 4). Maternal hyperglycemia produced evoked significant lateral ventricle volume increase in neonate that obviously could see. Also in Fig. 4, choroids plexus volume in neonates from hyperglycemic mothers was increased. When lateral ventricle enlarged it compress that region surround them and this compression induced degenerative disorders in this neonates (Fig. 4). It seems that maternal hyperglycemia is a risk factor for normal-pressure hydrocephalus (Casmiro et al., 1989). It is obvious that ion transport in the choroid plexus plays a critical role in the production of CSF and thus homeostasis of the brain (Egleton et al., 2003). Changes in the number or dysfunction of ion pumps and ion permeases (symporters and antiporters) are probably common events in diabetes (Egleton, 2003). In this respect, although the results of some animal studies indicated that the BBB structure remains intact in hyperglycemia, it has been shown that the BBB permeability is increased in STZ diabetic animals (Sharma et al., 1985). The BBB has both paracellular and transcellular transport systems and the regulation of the rate of their transportation and/or permeabilities are affected by hyperglycemia. While the paracellular pathway is so limited to macromolecules, ions and most small water-soluble molecules the transcellular movement of lipid soluble molecules and organic ions can be highly regulated by the number of different transporters and efflux proteins. The etiology of deleterious in CSF electrolytes composition in different conditions may reflect the altered transcellular transport system (Egleton et al., 2003). The results obtained from the present study show a significant increase in CSF [Na+], [K+] and [Ca2+] levels and the volume of lateral ventricle in pups born from experimental diabetic mother, when compared with control (Table 2, Fig. 1). These results may indicate to the up regulation of ions transporters at the CSF- blood- barrier in hyperglycemic condition. It is obvious that the elevated rate of ion transports may increases the CSF osmolality which follows by excess water flow via aquaporin channels (Malcolm, 2000). It has been shown that in hyperglycemic condition the number of aquaporine channales in choroid plexus epithelial cells is increased (Malcolm et al., 2000). Furthermore, the blockade of ion transporters decreases CSF production (Pollay et al., 1985; Javaheri and Wagner, 1993). Hyperglycemia may induce ion transporter expression through a number of post-transnational modifications (Eglton et al., 2003). Ischemia is a common indication in diabetes. It has been demonstrated that retinal microvascular endothelium cell replication increase threefold in diabetic rats (Sharma et al., 1985). In response to a prolonged hyperglycemia, alteration in vasculature may provide specific ligands for vascular targeting in type 1 diabetes (Stitt et al., 2005). In contrast to the retina, the effects of diabetes on microvasculature in neural tissues are not well described. It has been suggested that angiogenic remodeling occurs in the central nervous system in response to stimuli such as exercise traumatic or ischemic injury and metabolic disorders such as diabetes may insert profound effects on brain`s peripheral and central vasculature, as well as neurons (Sharma et al., 1985). For instance, it has been proposed that the risk of stroke and other types of cerebrovascular accidents may increase in diabetes and structural and/or functional changes observed in the microvasculature in diabetic neuropathy may be involved in the resulting nerve damage (Boulton, 2005). The choroid plexus microvasculature can be a vulnerable target in diabetes and in our knowledge the effects of hyperglycemia on choroid plexus has not been fully explored so far. In consistent with the above findings, the results obtained from the present research show that the choroid plexus volume measurement and the length density of choroid plexus capillaries estimation significantly increase in newborns of hyperglycemic dams (p<0.05) (Fig. 2). The increase in capillary length density is probably due to the high proliferation rate of capillary which may be induced by elevated metabolism and hypoxia in hyperglycemic condition (Freinkel, 1980). These factors act as angiogenic factors and induce the production of endothelial growth factors such as VEGF, TGF (Nakamura et al., 1993; Yamanaka et al., 1993) that correlate with finding in this study (Fig. 3). It is obvious that a chronic deficiency in brain new-vessel formation in the face of increasing ischemia makes a major contribution toward progression to the sight threatening proliferative stages of diabetic diseases. Angiogenesis may be the result of an imbalance between stimulatory and inhibitory factors that presumably accurse from the elevated expression of local angiogenic factor induced by ischemia (Duenas et al., 1999). Therapeutic intervention may therefore be directed to the abnormal vasculature as well as the nerve. In total, it is concluded that maternal hyperglycemic condition could induced remarkable alterations in lateral ventricle structures and the region was surrounded them. Study shows meaningful increase in Electrolytes concentration of CSF in neonates from hyperglycemic mothers that may be related to changes in Blood Brian Barrier structure. Also maternal hyperglycemia evoke an increase in choroids plexus volume and capillary length that obviously are seen in figures. Possibility hyperglycemia active angiogenic factors that proliferate capillary of choroids plexus. It is commended that researchers investigate how angiogenesis mechanism act. Now we know increase lateral ventricle and choroids plexus volume is dangerous for normal physiological actions Therefore, it is better in diabetic pregnant mothers the level of glucose was maintained under normal condition. Arvanitakis, Z., R.S. Wilson, J.L. Bienias, D.A. Evans and D.A. Bennett, 2004. Diabetes mellitus and risk of Alzheimer disease and decline in cognitive function. Arch. Neurol., 61: 661-666. Boulton, A.J.M., 2005. Management of diabetic peripheral neuropathy. Clin. Diabetes, 23: 9-15. Calvo, R., G. Morreale de Escobar, F. Escobar del Rey and M.J. Obregon, 1997. Maternal nonthyroidal illness and fetal thyroid hormone status, as studied in the streptozotocin-induced diabetes mellitus rat model. Endocrinology, 138: 1159-1169. Casmiro, M.D., R. Alessandro, F.M. Cacciatore, R. Daidone, F. Calbucci and E. Lugaresi, 1989. Risk factors for the syndrome of ventricular enlargement with gait apraxia. J. Neurol. Neurosurg. Psych., 52: 847-852. Duenas, Z., L. Torner, A. Corbacbo and A. Ocboa et al., 1999. Inhibition of rat corneal Angiogenesis by 16-kDa prolactin and by Endogenous Prolactin-like Molecules. Visual Sci., 40: 2498-2505. Egleton, R.D., C. Campos, J. Huber, R. Brown and T. Davis, 2003. Differential effects of diabetes on rat choroids plexus ion transporter expression. Diabetes, 52: 1496-1501. Freinkel, N., 1980. The banting lecture of pregnancy and progeny. Diabetes, 29: 1023-1035. Jarvis, J.P., H.J. Kenney, T.H. Ehrich, L.S. Pletscher, C.F. Semenkovich and J.M. Cheverud, 2005. Maternal genotype affects adult offspring lipid, obesity and diabetes phenotypes in LGXSM recombinant inbred strains. J. Lipid Res., 46: 1692-1702. Javaheri, S. and K.B. Wagner, 1993. Bumentanide decreases canine cerebrospinal fluid production: In vivo evidence for Nael cotransport in the central nervous system. J. Clin. Invest., 92: 2257-2261. Malcolm B.S., 2000. The choroids plexus and the barriers between the blood and the cerebrospinal fluid. Cell. Mol. Neurobiol., 20: 183-196. Nabiyouni, M., C. Storey, J. Owen and J. Miyan, 2004. Proteomics study of CSF composition in the developing H-Tx rat. Cerebrospinal Fluid Res., 1: 529-529. Nakamura, T., M. Fukui and I. Ebinhare et al., 1993. MRNA expression of growth factors in glomeruli from diabeteic rats. Diabetes, 42: 450-456. Pollay, M., B. Hisey, E. Reynolds, S.P. Tomkin, F.A. Stevens and R. Smith, 1985. Choroid plexus Na+/K+ activated adenosine triphophatase and cerebrospinal fluid formation. Neurosurgery, 17: 768-772. Segal, M.B., 2000. The choroid plexuses and barriers between the blood and the cerebrospinal fluid. Cell. Mol. Neurobiol., 20: 183-196. Sharma, N.K., T.A. Gardiner and D.B. Archer, 1985. A morphologic and autoradiographi study of cell death and regeneration in the retinal microvasculature of normal amd diabetic rats. Am. J. Ophthalmol., 100: 51-60. Spijkeman, A.M. and J.M. Dekker, 2003. Microvascular complications at time of diagnosis of type 2 diabetes are similar among diabetic patients detected by tageted screening and patients newly diagnosed in general practice. Diabetes Care, 26: 2604-2608. Stitt, A., C. McGoldrick, A. McCaldin and D. McCance et al., 2005. Impaired retinal angiogenesis in diabetes role of advanced Glycation end products and Galectin-3. Diabetes, 53: 785-794. YamanaKa, Y., H. Friess and M. Buchlear et al., 1993. Synthesis and expression of transforming growth factor β-1, β-2 and β-3 in the endocrine and exocrine pancreas. Diabetes, 42: 746-756.